Just when it seemed that Ethereum might top Bitcoin as the most valuable of the cryptocurrencies, the second biggest crypto coin ran into problems when the Tetras Capital hedge fund burst the ETH bubble within 24 hours of its reaching a milestone achievement in terms of transaction fees. ETH still trails Bitcoin in the market capitalization arena. However, the fact that the it’s transaction fees topped Bitcoin’s for the first time in three years this week, after following a positive trajectory all month, was a feather in the cap for the cryptocurrency. The younger currency has already overtaken its older cryptocurrency brother in its mining reward, and in its number of nodes. 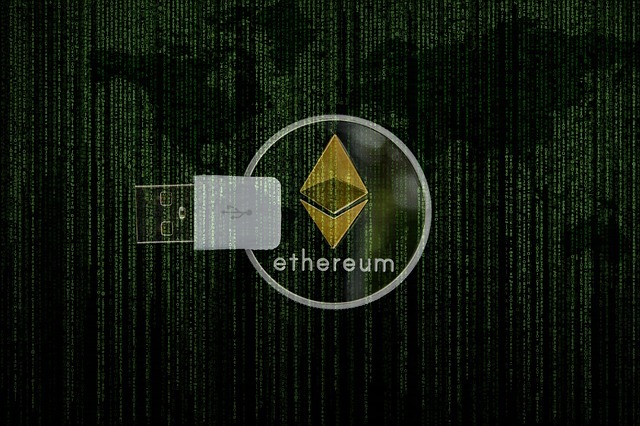 Despite its good run in terms of pricing and transactions, the “Ether Bearish Thesis” from Tetras Capital released mid-week seems to have knocked the Ethereum cryptocoin off its tracks for the moment, and it did so within a matter of hours after the transaction fee triumph over BTC. In the thesis, the New York based hedge fund, which specializes in blockchain and crypto assets, backs Bitcoin as being the leader of the next sustained bull market. And it warns potential investors that it believes the ETH cryptocurrency is overvalued at its current price. It said “irrational exuberance” had driven the speculation which sent Ethereum prices to new heights in the past year, and the cryptocurrency was sure to suffer further when the market “sobered up”. The release of the thesis has paused Ethereum in its spike for the moment, but only time will tell whether or not the hedge fund will block its view of the top long term. And it will also show whether the flippening which will mark ETH’s seizure of the cryptocurrency throne will ever eventuate. The current Ethereum price also dropped 5% from yesterday. At the moment of writing, 1 Ether is valued at 468$ US.